The Health and Safety Executive defines stress as ‘the adverse reaction people have to excessive pressures or other types of demand placed on them’. Employees feel stress when they can’t cope with pressures and other issues. Employers should match demands to employees’ skills and knowledge. For example, employees can get stressed if they feel they don’t have the skills or time to meet tight deadlines. Providing planning, training and support can reduce pressure and bring stress levels down. Stress affects people differently – what stresses one person may not affect another. Factors like skills and experience, age or disability may all affect whether an employee can cope. According to a newly published 2018 UK Workforce Stress Survey from Perkbox, of 3,000 UK-based employees one in three employees experience work-related stress at least once a week – and it’s directly affecting employee engagement and business performance. When under stress, a quarter of employees are less productive, 11% take sick days and 7% go as far as to look for new jobs altogether. In other words, workplace stress is clearly impacting on productivity, absenteeism, staff retention and health. It’s an issue that businesses cannot afford to ignore. The study identified long working hours, work performance and client satisfaction as the top three causes of stress. Company size also has a big impact. All three of the top industry stress spots are dominated by large organisations – and the study found that stress levels are almost 50% higher in businesses with over 500 employees than those with fewer than five. 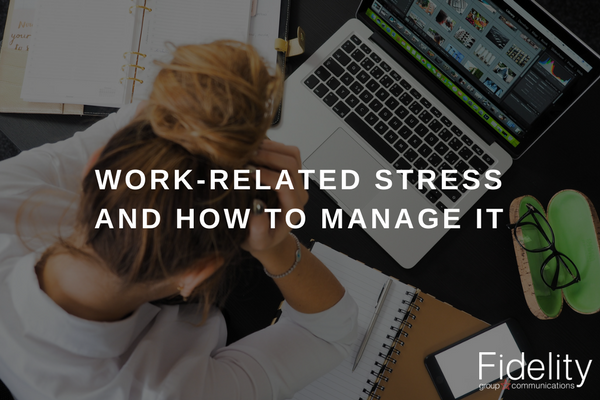 With both interdepartmental communications and company culture listed in the top 10 causes of stress, perhaps it’s time for larger organisations to consider what they can learn from the highly flexible and integrated work practices of small businesses. While this sounds great on paper, the other half of UK employees receive no work-based support to combat stress. In fact, just 9% have regular one-to-ones with their managers – clearly a missed opportunity to address the high levels of reported stress around job performance.